We recently launched a Kickstarter campaign to raise funding for international research, and as campaign rewards we offered collections of some of our favorite research and travel gear. 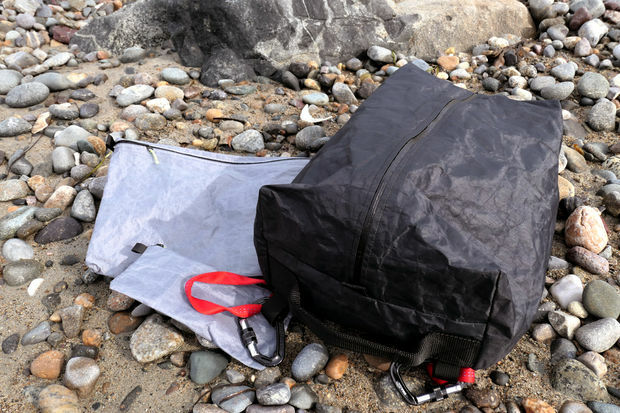 This includes lightweight, waterproof gear bags that we make ourselves from Dyneema, a composite material that is roughly twice as strong as Kevlar at half the weight--what William Gibson once described as "sort of like if NASA made waxed paper." We’ve just posted an Instructable on our process for making these bags. Dyneema isn't cheap but a home-made bag will cost a fraction of a similar factory-made bag from Your Favorite Outdoor Company. Newer PostSupport DtM on Kickstarter, get field research gear!